Take a look at some of the stylish and intelligent modern kitchens showcased at the recently concluded Salone del Mobile in Milan. Since its inception in 1961, Salone del Mobile in Milan has presented ground-breaking and innovative trends in furniture. 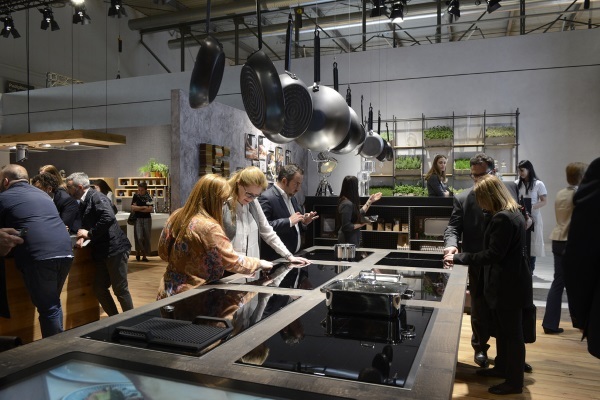 This annual exhibition is accompanied by the biennial exhibitions EuroCucina and FTK (Technology For the Kitchen) that showcase superior and technologically advanced kitchen solutions. This year too saw some exciting products from some of the leading brands in the world. 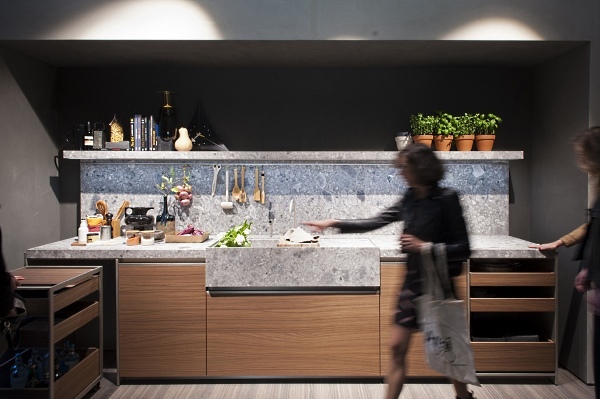 EuroCucina 2016 featured luxurious furnishings for the kitchen as this space is no more just a place to cook food but has transformed into a globally accepted style statement with more and more people accessorising their kitchen designs with exquisite elements. Precious materials such as marble and exotic woods are now gaining popularity. The range of colours from Antonio Citterio includes bronze, copper and champagne along with the old-school colour variant, stainless steel. Belgian architect Vincent van Duysen, a master of minimalistic designs, has re-invented Dada’s successful Hi-Line kitchen by combining natural stone, black aluminium and varied types of woods. Meanwhile, Giuseppe Bavuso’s L-Lab for Ernestomeda created a dry and timeless effect with alternate filed and unfilled spaces in a testament to the syntax of industrial kitchens, while the Japanese company Sanwa also displayed the same technique. Makio Hasuike, another Japanese designer, designed an intriguing black monolith for Aran Curine. Along with style the kitchen is getting smarter too. The FTK exhibition showcased some stunning energy-saving household appliances and some interconnected appliances that provide increased efficiency and comfort. 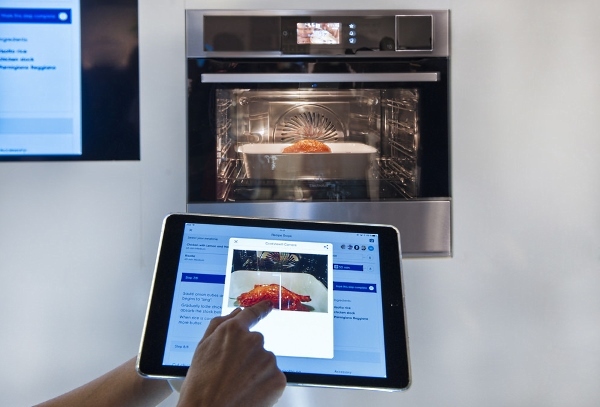 Among the exhibitors was Electrolux, who has developed a steam oven (Combi Steam Pro Smart) that comes with an integral camera for supervising cooking with the help of a mobile application. VUX (Virtual User Experience), Grundig’s new built-in collection, includes a ground-breaking control panel that makes it possible to operate the induction hob, dishwasher and cooker hood from a single interface. A touch-operated virtual control panel works with movements of the user and surrounding objects, aided by unique sensors and an extensive projector built into the extractor. Another highlight at the expo was the Bio Hood by Elica, which includes a USB Port along with a smartphone holder in its body. Together, EuroCucina and FTK showed the world the daring and dashing future of domestic appliances and kitchen décor. Let’s hope we get to see these innovative products in the Indian market soon.